There is, of course, no single way to do Twitter right. People maintain Twitter profiles for a myriad of reasons, and that means it is tough to offer a set of "best practices" to fit everyones' goals. That said, there are a few things that you may be doing that could annoy followers or, worse yet, increase the risk of facing terrible professional ramifications as a result of your tweeting. And for the love of all that is holy, if you are auto-tweeting your horoscope, stop! Few care about horoscopes, and even fewer care what your (rather than their) horoscope is each day. If you are auto-tweeting a horoscope on an account tied to your job or employer, you are posting a giant, blinking Twitter billboard that you are self centered, do not know how to use Twitter and should not be followed. Detach personal and employer accounts: This is a mistake we have seen time and again: People accidentally posting on their employers' social profile a tweet intended for a personal account. At best, a misdirected tweet is embarrassing to both you and your employer; at worst, it costs people jobs (and loses agencies' accounts). Chances are you already know that you should not manage your personal and your employers' accounts using the same social management application, but you may have convinced yourself you are smart enough to avoid those mistakes. That attitude is dangerous and wrong--mistakes happen all the time, and you do not want to be the next cautionary case study that earns headlines on Mashable. Use different social apps to maintain your personal accounts and professional accounts; heck, use different browsers, phones and computers to do so, if you can. An ounce of prevention is worth a ton of cure! Avoid outlandish humor: If you want to be the next Sarah Silverman, quit your job, hone your comedic chops, spend years getting heckled on stage and starve while you strive for the impossible dream of becoming one of the very few comedians who can make a living out of it. But, if you care to remain employed, retain your benefits and move up the career ladder, then do not make the same mistake as Justine Sacco (or Pax Dickinson, Taylor Palmisano, Christina Haramboure, Matt Bowman or Miguel Torres). Would I be say this at the dinner table in front of my parents, spouse and kids? Would I say this in a meeting in front of my boss and peers? Would I say this on stage in front of a large audience? Remember that a tweet made on a public account is, in fact, a tweet made in front of parents, spouses, children, bosses, peers and a large audience. Do not let your next outrageous, edgy, hilarious tweet make you funniest person applying for unemployment. Twitter is the most powerful broadcast medium ever invented. That makes it a great place to promote, educate, inform, engage, build reputation and network. It also makes Twitter the most dangerous communications tool ever invented. In 2014, hundreds of people will lose their jobs because of their Twitter activities. Focus on the needs of your followers rather than yourself and be mindful of the risks, and you have nothing to fear. Let's start by giving credit where credit is due: Within many companies, there is no more consistently innovative organization than the Marketing Department. Fifteen years ago, while everyone else was deriding the information superhighway as some overhyped playground for nerds, it was the Marketing group in many companies that advocated for the World Wide Web and found the budget to create the first corporate websites. And six years ago, while most executives were chuckling over their kids' obsession with MySpace and Facebook, it was likely the Marketing Department in your company that staked out the firms' social profile on social networks. But while Marketing Departments may have controlled the first iteration or two of their companies' web sites, that time has now passed. Today, the Marketing Department has responsibility for driving traffic to the site and may control the corporate website's look and feel, but it is very unlikely (if your company is of a certain size) to own the content, the business functionality or the underlying technologies such as web content management, search, hosting, web analytics and the like. In other words, today Marketing brings its traditional strengths and capabilities in reach, scale and acquisition to the web, while other parts of the organization bring their own strengths. Today, it is common for the Marketing function to own companies' social media accounts. In Spring, SmartBlog on Social Media asked "Who controls the social media efforts at your organization?" 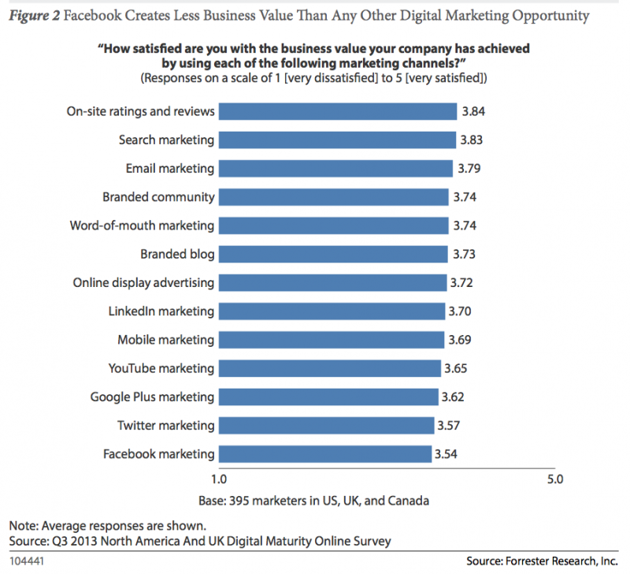 and over half the respondents noted their Marketing Department is responsible for social media. No other answer even came close--Public Relations was second with just 18% of the responses. 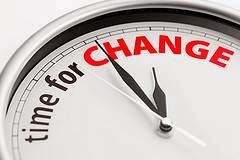 But in 2014, it is time for change. In the same way Marketing ceded control of corporate websites as the rest of the organization matured digitally, it is now time for Marketing to leave most aspects of social and earned media to others in the organization. That means that primary responsibility for social accounts, daily posting and organic content must shift out of marketing and to other departments, if this has not already occurred. Earned media, that golden promise of the social era, is dying. You don't even need to examine data to know this--just look at the wave of whiny blog posts we have seen this year from marketers accusing Facebook of breaking promises. Apparently, marketers thought Facebook was going to be a place where basic consumer behavior changed: As more brands joined social media and increased their content marketing output, consumers who avoid ads in every other medium would suddenly welcome and engage with marketing content on Facebook. 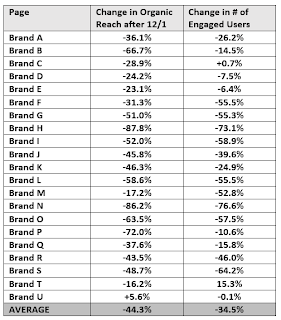 brand saw an increase in organic reach. 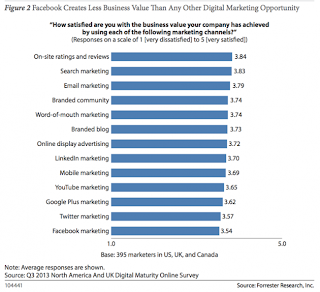 How difficult is it becoming to generate earned media on Facebook? Two recent studies demonstrate that engagement and penetration are sinking very quickly. 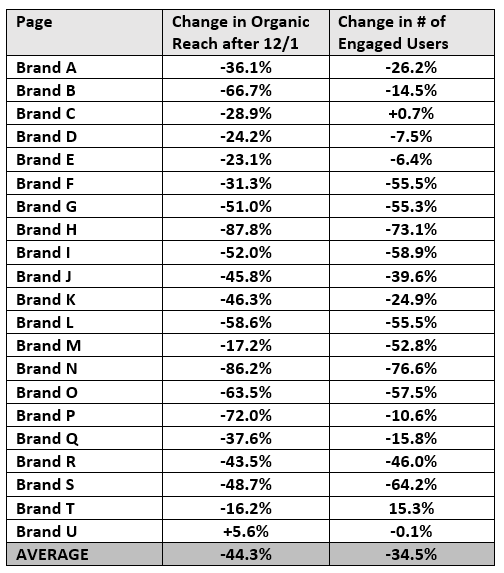 Komfo found a 42% decrease in fan penetration from August to November, and an Ignite study revealed that in the week following Facebook's December 2nd news feed tweak, brand page organic reach declined by 44% on average. Ignite notes, "Facebook once said that brand posts reach approximately 16% of their fans. That number is no longer achievable for many brands, and our analysis shows that roughly 2.5% is now more likely for standard posts on large pages." And if you think the earned media bloodletting is over, think again. 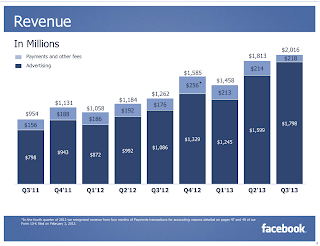 The slow decline of earned media on Facebook will continue in 2014. Ad Age recently reported that Facebook is telling marketers, "We expect organic distribution of an individual page's posts to gradually decline over time as we continually work to make sure people have a meaningful experience on the site." Make no mistake, the phenomenon of shrinking earned media is not just a Facebook issue. Facebook is on the cutting edge of social media because of its scale and longevity (not to mention investor expectations, with a market cap almost 50% greater than Twitter's, LinkedIn's and Yahoo's combined), so it provides a peek into the future of all social media. As more brands pay for access and as social networks strive to monetize, brands' earned media will get pushed aside. Earned media is dead; long live paid media! Marketers should not mourn the loss of earned media but rejoice that their traditional skills and abilities are in ever higher demand. The need for paid media expertise in social media has never been higher and is going to continue growing. 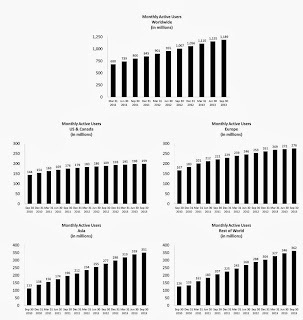 The Marketing Department is uniquely equipped to stay abreast of Facebook, Twitter and other social networks' rapidly evolving ad programs, develop and test targets and creative, and measure advertising success. Marketing can focus on what it does best and leave the rest of social media to others. emotion of this respectful post, aren't you? As earning organic social media becomes more difficult, marketers get more desperate to break through, which elevates the risk for brands. No consumer hopes for a daily dialog with their brand of canned pasta, as evidenced by the fact Spaghettios has just 2,600 people "talking about the brand" despite having amassed 518,000 "fans." 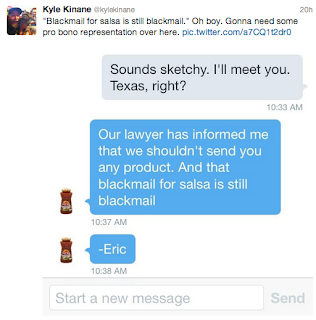 Since no national brand can succeed with a marketing effort that has a reach of just 2,600 consumers (and since some Social Media Marketing Manager's job depends on it), Spaghettios' Marketing Department has to churn out daily content that struggles to get more attention than other brands. The more they produce and the harder they try, the greater the risks, so it is of little surprise that Spaghettios stumbled instead of soared. The brand's recent Pearl Harbor Day post of a smiling brand logo waving the American flag was widely criticized and embarrassed the brand. 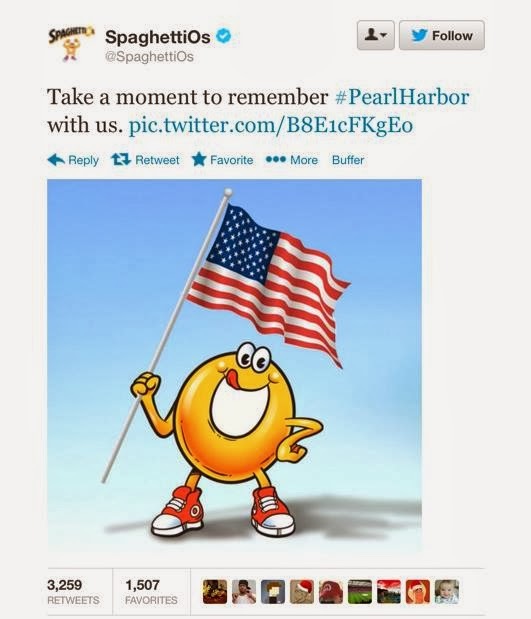 Spaghettios apologized and said its intent was to pay respect, but you and I both know that is not true. This was marketing content, and the goal in posting it was to achieve what marketers always want to achieve in social media--likes, comments and shares. The intent of the smiling cartoon Spaghettio was not to pay respect but to create brand engagement (and in that, at least, the brand succeeded). Of course, I should not pick on the Campbell Soup brand when there is an almost limitless number of examples of social marketing missteps to choose from in 2013: The #AskJPM, #AskBG and #AskRKelly hashtag dustups; endless look-alike newsjacking after the royal baby's birth; embarrassing campaigns to extort retweets in exchange for charitable dollars; failure to control social accounts from dismissed employees; pathetic fake account hacks to jack up follower counts; branded hashtags inserted into tweets about tragedies; accidentally racist posts; misguided humor about fatal airport crashes. Was that enough, or should I go on? Cole defended his tweet as a way to "provoke a dialogue." How far is your brand willing to push to get attention? In 2014, we will see still more brand blunders in social media, but there is a simple solution: Stop trying so hard! With shrinking opportunities to reach the kind of mass scale marketers want and need, consider the risks versus the potential modest rewards. If you do, many of you will shut off the lights on those special-event real-time marketing newsrooms--your brand is more likely to be criticized for spamming consumers' conversations than be next year's Oreo Blackout. Put an end to those tweet-this-or-we-won't-save-a-starving-child campaigns, which consumers increasingly see as mercenary attempts to boost brand reach. Stop desperately asking people to "like this if you love Fridays." Tactics like those may deliver some bumps in your social media analytics, but they are more likely to create negative sentiment than to boost consideration, purchase intent or loyalty at any reasonable scale. Note that I said to stop trying so hard, not stop trying altogether. Brands certainly have a place in social media, but the time has come to focus not on what your marketing department wants but on what your customers want: Deals, information, education, customer service, co-creation and social functionality. 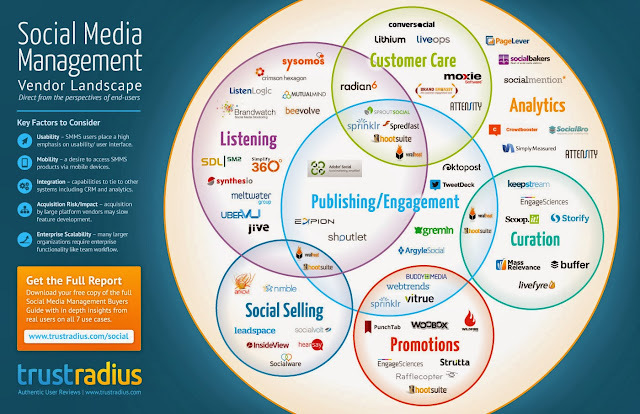 In this list, the Marketing Department is best aligned to furnish just one type of content--promotions. The remainder of the content and services are better left to Public Relations, Customer Care, Product Management and Development and Channel Management. The Marketing Department is an important provider of content for social channels, but that does not mean those social channels should be run by Marketing with the goal of producing marketing results. In the coming year, I anticipate we will see more Public Relations and Customer Care departments take over companies' social accounts. 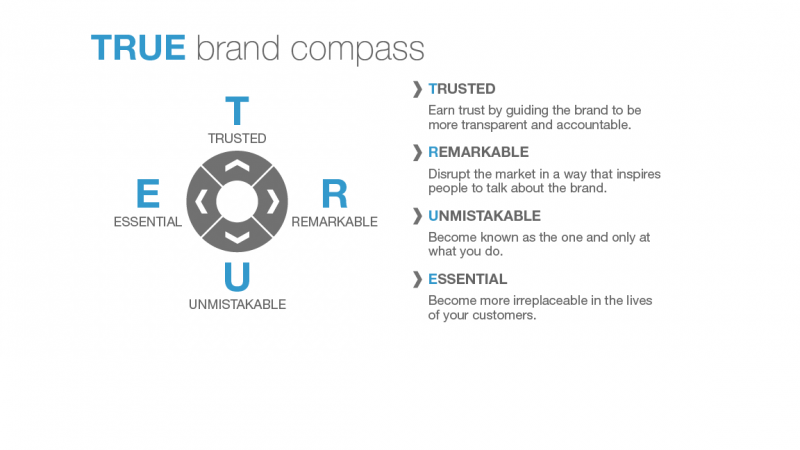 This will decrease the chances for the kind of social missteps that embarrass brands. No PR or customer service department will ever post an image of a smiling Spaghettio waving a flag, newsjack a national event or fake an account hack. Those departments do not need to win a battle for hundreds of thousands of eyeballs in order to succeed, and they will not push the envelope until, inevitably, the envelope tears and creates a social PR mess. 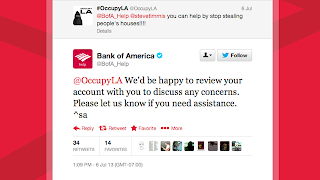 Exception to the rule: If your brand does not offer the kind of customer experience that earns advocates, then attempting to earn organic attention at scale is difficult and risky. If, however, your company creates advocates with a great product or service experience, that bestows opportunities for social media marketing that is safer and more prone to success. Coca-Cola, USAA, Apple, Trader Joe's and other successful brands don't succeed in the real world because they have great social media; they succeed in social media because they offer a great experience in the real world. No matter what your corporate social media scorecard may imply, all engagement is not created equal. Getting consumers to engage with your jokey posts or videos is not the same as making a brand impression, building purchase intent or driving sales. Too many brands continue to chase social media metrics while failing to measure how and if social media efforts drive business results. For every Dove "Real Beauty" or Secret "Let Her Jump" that delivers measurable marketing results, there are dozens of other social campaigns that fall far short. It is easy to see the gap between social media success and business success by looking at Kmart's 2013 efforts. Few brands were as talkable as Kmart this year. Thousands of blog posts and tweets trumpeted the brands' success with funny viral videos like "Ship My Pants" (20 million views! ), "Big Gas Savings" (6 million views! ), "Show Your Joe" (16 million views!) and the new "Ship My Trowsers" (3 million views in a week!) 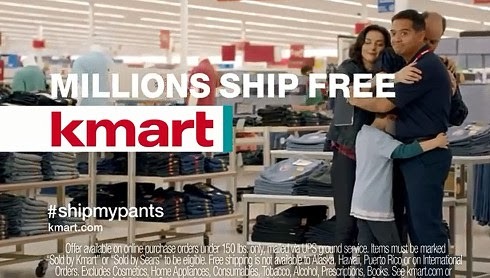 Even though Kmart, which is owned by Sears, amassed twice as many views as top-rated primetime program NCIS has viewers, the retailer has continued its slow decline, with same-store sales falling 2.1% in the second quarter and an equal amount in the third quarter. As Mashable's Todd Wasserman notes, "It's hard to make a case that the ads did much for owner Sears's bottom line." In the article on Mashable, Sears chief digital marketing officer says he judges success by "the amount of engagements in social media surrounding the brand." It is long past time for digital and social media leaders to stop this kind of idiotic babble. Marketing that entertains or engages without driving measurable brand or business benefits is failed marketing. Television ad buyers don't claim success based on gross rating points, and neither should digital and social marketers claim success can be counted in "likes" rather than dollars, new customers or brand equity (such as awareness and purchase intent). Kmart is not the only brand we can study to see the tenuous relationship between social media success and business success. 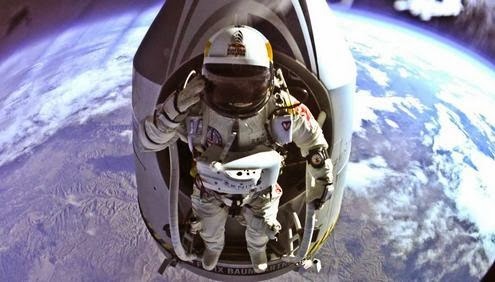 Late last year, Red Bull launched an amazing social campaign around Felix Baumgartner's record-setting skydive. The YouTube video earned 35 million views and got everyone talking. Two months ago, uberVU evaluated Red Bull's and Monster's social media presence and declared Red Bull the winner. But while Red Bull may be winning the social media battle, it is losing the market share war. In recent years, Red Bull has been slowly bleeding market share to Monster, and the trend continued in 2013. 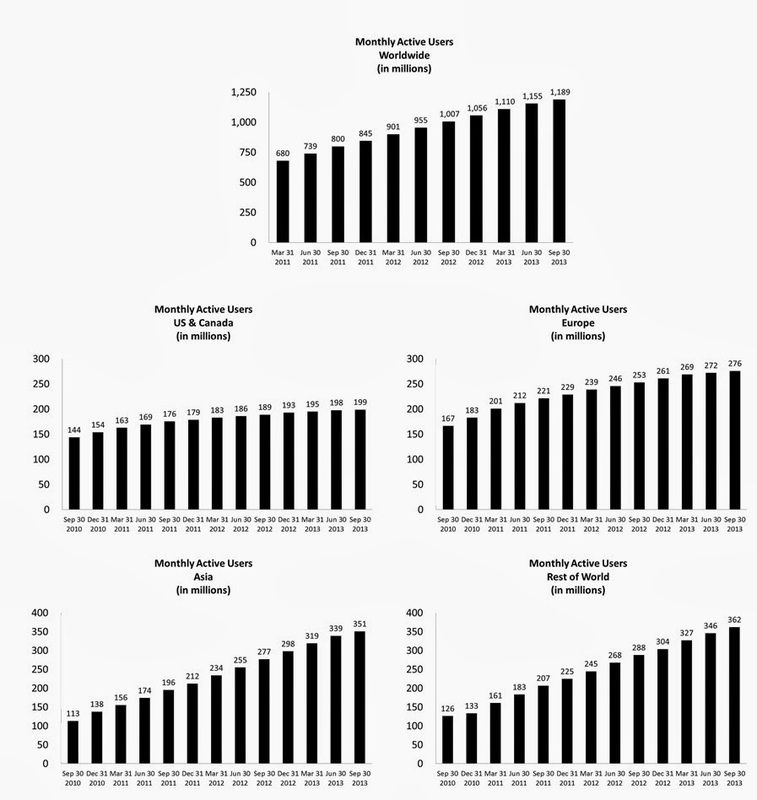 In Monster's third quarter earnings call, CEO Rodney Sacks announced that Monster's year-over-year growth was greater than Red Bull's and that Monster was close to overtaking Red Bull in US market share. Two of the biggest social media marketing successes of the past fourteen months seem to be driving no demonstrable brand success. Maybe my Kmart and Red Bull examples seem unfair since, of course, social media is but one small factor in overall brand success or failure. After all, customers disappointed with past Kmart experiences won't be enticed into stores with a funny video, and Red Bull may be leaking market share because competitors have better product innovation. If you buy this line of reasoning, then you are acknowledging my point--entertaining consumers with funny videos and knee-slapping posts do little to impact the bottom line when consumer perception of the brand is shaped by more powerful experiences with the product or service. 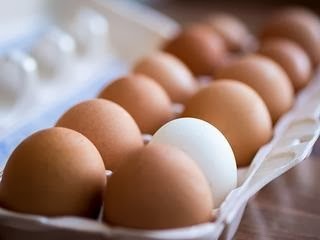 Exception to the rule: While big, established brands show little sign of being able to alter brand behavior with tweets and YouTube videos, small and unknown brands and individuals still have opportunities to leverage earned media to gain attention and achieve success. From Blendtec to Justin Bieber to GoldieBlox, upstart brands have demonstrated that the right content can build awareness and change minds. Where does this leave Marketing and Earned Media? There remain several ways marketers can succeed in social media, including paid media and using social networks to distribute promotions. In addition, brands that create advocates through superior customer experience can work to increase Word of Mouth. For many marketers, however, 2014 will be the year they must contend with the diminishing reach, increased risk and dubious business results of organic content and earned media. The earned media equation is changing, and marketers must ensure they don't make the mistake of committing to a strategy that cannot deliver the audience, opportunities and results necessary. 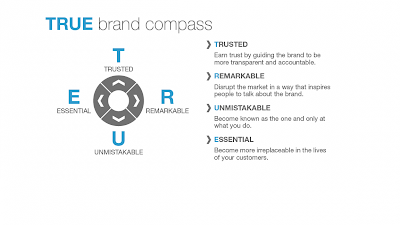 The time is right for a reassessment of your brands' cost-benefit equation with respect to marketing content in social media. If you are achieving significant organic scale and positive outcomes for a reasonable cost, keep up the good work. But if you are employing writers, videographers, photographers, illustrators and other creatives to develop social media content that is reaching too few customers and fails to deliver measureable results, then a change is in order. There is no shame in acknowledging that earned media does not offer the marketing opportunities that we hoped for years ago as social media was developing. There is, however, shame in continuing to invest if the strategy is not producing results or in striving so hard for marketing success that the company is embarrassed with a social media misfire. In 2014, I believe the time has come for a normalization of roles in social media. Your organization has professionals with decades of experience creating earned media, and they are not in Marketing but PR. Your organization also has professionals able to scale one-to-one relationships, answer customer questions and engage consumers individually, and they are found in Customer Care. These are the departments that can better manage corporate social accounts. More importantly, they can measure success on their own terms, with metrics based on responsiveness, reputation and satisfaction rather than on acquisition and sales. The shift has already happened at many companies, but if the Marketing Department at your firm still "owns" the corporate social media accounts, it may be time for them to hand over the keys. Moreover, if your marketing function is ramping up a content marketing program at the same time earned media opportunities are vanishing, caution and careful consideration of costs and goals is advised. Marketing will always have a role on social networks, but the time has come to recognize that social media is not primarily a marketing channel but is better aligned to the longstanding responsibilities and capabilities of others throughout the organization. The great irony of social media--if you strive to develop content and build reputation as I do--is this: The stuff you take time to do right and hope will go viral rarely does, and the things you do not think much about sometimes ends up reaching a very wide audience. I'd suggest it is frustrating to have your best work get modest attention while offhand tweets get more, but that is human nature and it is nothing new--not even to the digital and social era. Just last week, I heard Clement Clarke Moore's "A Visit From St. Nicholas" read in the 175-year-old chapel built on land Moore donated. Moore spent two decades hiding his authorship of the poem following its publication in 1823. The work, now known as "Twas the Night Before Christmas," embarrassed Moore. He was a professor who published scholarly works, and he did not wish to be associated with the children's story. But, neither Moore in the 19th century nor Justine Sacco or me in the 21st century can control the narrative once our work enters the public's awareness. This is a good reminder to everyone who bemoaned that Justine Sacco faced a backlash that hurt her reputation and cost her her job: once we publish something, we lose control. We cannot manage how people use it and we certainly cannot control how people perceive it. Each of us has a right to say what we want, but everyone else has a right to judge and react to it. And say what you want about the "mob mentality" of social media, but it is no different in the real world than on Twitter--once someone engages people's emotions, be it anger or joy, the right brain takes over. Once that happens, the left brain's logic and restraint go out the window. Social doesn't change this, it just brings more scale to it. To me, there is irony in seeing people who have used social media to build their reputations and careers now gripe at how social media can harm someone's reputation and career. As we strive for "viral" impact of a positive sort, why would we be surprised or disturbed when it happens in reverse? If we are going to believe content that positively engages emotions or logic can create benefits for people and brands, then by very definition, don't we also have to believe that content that engages negative emotions or logic can do the same in reverse? The reputation train goes in both directions. We don't control the train--we can only influence its direction by being aware and vigilant of how people may react to our public communications.